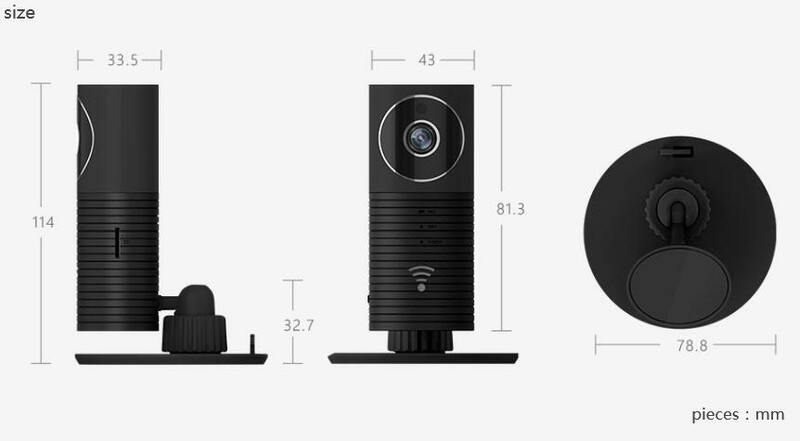 With the Cleverdog Panorama camera, it is possible to see a space at one time. With one click on the screen (1, 2 x zoom) the picture may move vertically or horizontally 165 °. The lens has a field of view of 180 ° and an angle of 165 ° along the diagonal. The 960P HD lens provides a 360 ° wide angle and records the area without blind spots. To record images can be used up to 128 GB micro SD card. 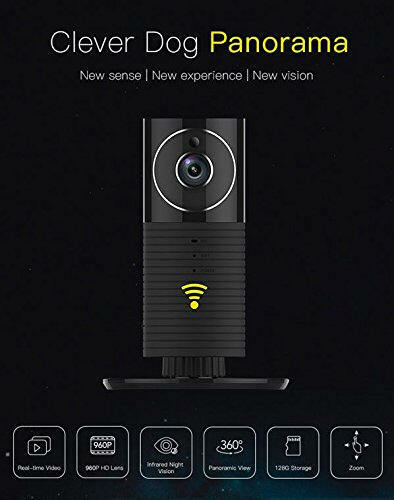 The HD Camera can be installed upside down Change the angles manually, wide angle 165° 165° HD Super wide angle of view makes everything under control. 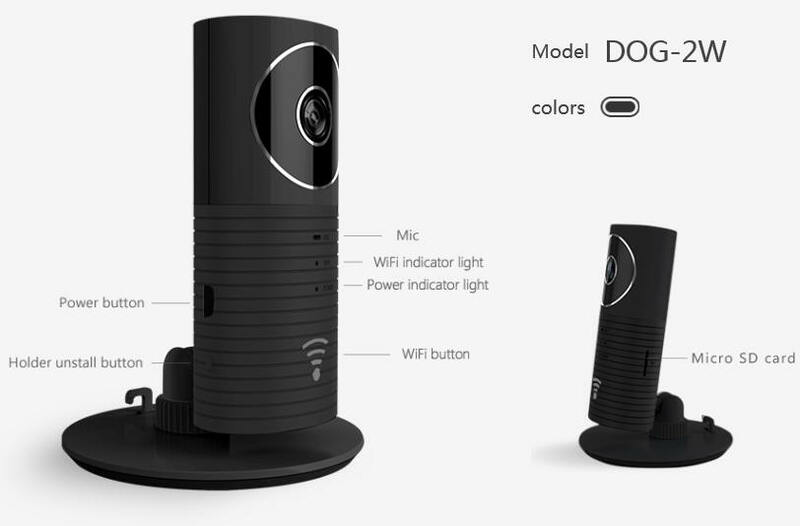 Motion detection, to guard all the time The captured pics will be sent to cell phone for warning by motion detection. ICR infrared filter auto-switch system the real day&night monitoring High degree of reduction and high fidelity of images with 24 hours monitoring. Temperature -10 ~ 60℃ Humidity ≤ We recommend it to be used in doors.